You are here: Home / blog / Time is Money! Time is money, pretty simple, right? Why am I telling you something that you already know? It’s because we all need a reminder. We as small business owners, entrepreneurs and quite frankly most individuals, still try to do IT ALL! We don’t have the “luxuries” of having a department to handle our payroll or miscellaneous paperwork, our appointment scheduling, taxes or other legal affairs or even our web design and marketing campaigns such as social media and search engine optimization (whatever that is, you may be thinking, but that’s another post! J). So, we set out to take care of our businesses by doing it all, seeking out information and faking it until we make it. So, how is that working out for you so far? I recently posed a question on my Business Facebook page asking – what would you do for your business if money wasn’t an issue. The responses were hiring a virtual assistant, hire someone to handle my social media, web designer to update my website, appointment scheduler for my studio sessions and the like. So, that tells me that folks are doing things that aren’t their forte but they have to since they are a small business owner and don’t have the means to afford to outsource. This also tells me that these folks, self included, are spending too much time doing things other than their money maker – our business. I am also going to guess that these things are taking up more time than necessary and is cutting into the money makers and thus not leaving time to actually make money, but wasting time and money? What do you think thus far? Ever consider changing your oil when you know nothing about cars? Here’s a fun little story that can help elaborate this predicament. I am in internet marketing and know my business very well. I have a degree in my business and have been doing it and helping others for some time. With that being said, I recently had a car problem which forced me to seek help to get it fixed, because I am not mechanically inclined. Could I fix it myself? Maybe, but what it would require me to do (other than a LOT of &%$# and prayers) would be to read up on the topic, search for the problem, seek out forums and some poor sole to help guide me in the answers to fix my problem. Then, I would have to get in and get my hands dirty (not my thing). Then it is possible (not likely) but possible that I could fix the problem or I could make things worse. So, what have I done? I have wasted countless hours of research, begging for information, pulling the damsel in distress card, gotten filthy and quite honestly – jacked up my car… for sure = MORE TIME & MORE MONEY! Or, I could take it to a mechanic, usually one that has been referred to me, or a long standing business relationship with a mechanic shop and have them get it fixed quickly and correctly. Spend your time where you make the most money – outsource the rest & save you time! Back to the car scenario, but this time I am going to say the problem is just needing an oil change (don’t judge, I’m not the mechanic type). Let’s say that a car mechanic makes $100 an hour and for the sake of ease of numbers, I also made $100 an hour (I’d be very happy, btw). And it would take me, easily 2-3 hours (let’s just say 3) to figure out how to do this oil change, along side of messing up my clothes and my hair. This mechanic, oh I am sure this could be done easily in under an hour. So, it would cost me $100 (30 min plus oil and disposal charges, work with me here) to pay to have someone to do it but cost me 3 hours of time, equates to $300 of time, plus the oil. Had I paid someone to do it, I would have paid $100 and lost an hour of work, instead of losing 3 hours of work. Get what I am saying here? Sometimes, we have to weigh the equation to see if it would turn out better to pay someone to do a service that they are much more experienced in so that it can be done right and saves us the time, struggle and potential mess versus us struggling through a service that we know very little about just to save us spending extra money on that service. So, again… I pose to you – if time is money and we are wasting our time doing things that don’t make us money, then, is it worth our money to save our time and spend time where we can actually make money? What’s it worth to you? Thanks for reading! I hope that I have enlightened you at least by one light bulb moment or humored you somehow. I’d love to hear your feedback and if I could be of service to you with a marketing consultation of your website for services in search engine optimization, pay per click advertising or maybe even social media marketing, I’d love to have a word with you. Otherwise, thank you, good luck to you and make the best of your time! I totally agree with you! I’ve quotes you in my Hootsuite for later this week. It is a really good question and I don’t know why so many people don’t want to make an investment in their business for those types of things and struggle. I know when I have things I can’t do, I just outsource it. It’s better than me getting bald spots. Great post! Thanks so much Heather…and I look forward to being quoted! YAY Me! But it’s so true, we hold ourselves back because we don’t have the money, but how could we not go deep into our pockets to give ourselves the opportunity to further ourselves by spending a little money to better our business. It’s like our own ROI, right? Thanks! Exactly! I’m starting to get much better at delegating. The struggle for me was to hire the right people, but as I’m finding them and identifying the items I can delegate, it has become much easier. And there really aren’t enough hours in the day to do everything. While I think I’m stuck with some things I don’t like to do or am not as skilled at, relinquishing some of the other things more than makes up for it! That is awesome Carissa! Proud of you! 😉 Some things we may have to deal with, but it is good that you recognized what you had to delegate and found those that you trusted with your business or whatever to delegate too. That is just as important. Thanks! LOL! I promise Heather, I won’t! I usually take mine in every 5,000 for oil change and whatever else needs to be done and with a car in the 140,000 mile range, there seems to be more and more. I had a GREAT mechanic in VA… hoping I’ll find one to trust in TX. I am with you, I am stubborn and I know I CAN do it… but how long or the extra time to learn to do it perfectly is the problem I have! lol Thanks! Great food for thought. I am all in favor for outsourcing. If tasks need to get done and I can spend my time doing the things that actually make money, it’s a good deal. Especially if I can make more money than I would pay for outsourcing. Exactly Marita! That’s just it! Thanks! I’m totally with you there Kristen. Why struggle and fudge things you’re not good at when others can do it better and in half the time? Also, people often see marketing as an expense rather than investment. This is very short sighted. Such a great point Clive. It is an investment to move the business forward, so very true! Thanks! Time is Money! I definitely agree with that! As an entrepreneur, I have to make sure that I am allotting enough time for things that will help me succeed vs. spending time on time consuming things that deter from reaching my goals. I’ve found a to-do list to be really critical for myself in order to stay focused. So very true Edmund. I have learned that I cannot do everything (no matter how much I try) and have been working harder to focus on one thing at a time. Right on the money (so to speak), Kristen! I have found myself in the very same position you describe. After my initial reaction of “I can’t afford it!” I step back, take a deep breath and say, “Can you afford not to?” I have made some of my best decisions using this little trick. And a final comment — you can always find the money if it’s important to you. Great post! Touche! 🙂 I have to do that same very thing and I think why can’t I afford to in order to build, improve and better my business. Where would I be if I spent nothing to create my business before some money comes in? I surely wouldn’t have much of a business. Great final comment. People say in life, not just business, I don’t have the money for xyz but manage to buy abc… it’s what is important. Great! Thanks! There are certain things that I know I can’t do – mostly anything to do with technology and bookkeeping. If I had to do those, I would never get anything done. When a physician sets up a private practice, he does not say “well, I can be the receptionist, answer the phones, schedule the appointments, of take the labwork”. It’s a given that she will need help. It should be a given in the small business arena as well. Oh… I LOVE that analogy Shelley. The ironic thing is… that like Heather said, if we could do it, we think we should. Great point. Thanks! I teach full time while building my business and there aren’t enough hours in the day to get everything done. I’ve outsourced some of my daily tasks as things started falling through the cracks. It was hard to do, especially since I’ve been burned before and have adopted the philosophy, “If you want it done right, do it yourself,” but it was one of the best decisions I’ve made. Thanks Daveda. I have a running task list for myself! lol One day I’ll get it down right! When I finally pried my fingers off of, well, doing everything, and outsourced the parts of my promotion I know nothing about, it truly changed my life. I’m always looking for ways to outsource more! Kristen, how clever to use the oil change comparison. That story really makes it easy to see how time really does equal money and the importance of knowing when to seek help so you can concentrate on your own area of expertise. That was a real example Tami… I am that girl.. who feels the need to do everything.. so it’s so real and we need to put things in those terms. Thanks girl! “Time is money” has been a mantra of mine lately and now I see it written I need to change the mantra to something else, like “Time is abundant” or “Money flows easily.” Having said that I totally agree with you Kristen, that hiring out services is an empowered move. I think the reason so many of us don’t do it as often as would be helpful is that organizing comes first. Today as I go through my day I’ll identify what I can outsource and what I need to do myself. Your site is so clean and easy to read. You rock! Successful business owners don’t do everything themselves. They delegate and outsource so that they can focus on the big ticket items in their businesses. As usual, I agree with you. 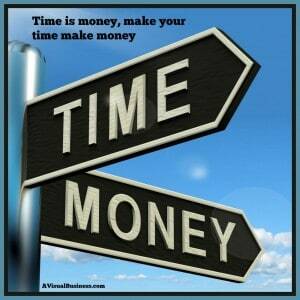 Time = money and we need to make smart decisions about both. Love your analogy–it makes your point even more obvious! Thanks so much Meggie… and I hope to outsource more and more over the next year. Thank you. I think I knew.. but I just don’t want to do it Alene! lol Just like you! We have to look at OUR big picture.. indeed! I love your ideas, Kristen. If I visited your page when you asked that question, I would have given similar answers to what you received. Outsourcing is my biggest problem now. The issue is finding the right person who will understand me and my business and what I want. Wonderful example, Kristen! I am constantly amazed at how people will choose to spend – or not spend – their money. In so many cases, just because you can (or THINK you can) does not mean you should, especially when there are so many things that need your, and only your, attention! 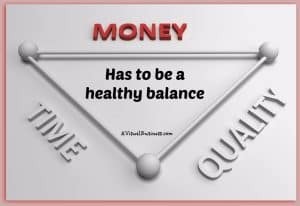 True, that is actually the good point…often we get caught up in wanting to do things ourselves and save money but hen get so behind on our own job that actually earns us money. That is spot on Katarina!